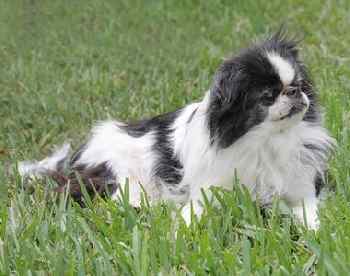 The Japanese Chin is a small, catlike breed that proves to be a great companion with most owners. They are molded by their surroundings and pick up on the mood that their owner creates, reciprocating in their own way. These dogs are famously compact and can live in most environments, mainly apartments. They are not incredibly energetic breeds, and will happily become accustomed to a slow, relaxed pace of living. This being said, they can also be enthusiastic participants in all kinds of activities. These dogs, staying true to their catlike nature, are not incredibly vocal. They will become noisy should they detect a stranger’s presence or if they become excited, although, they are quiet dogs altogether. They aren’t known to be very yappy when they do speak as well, instead preferring to howl and babble. This again reiterates the breed’s capability of living in most environments, especially those near people with a low tolerance for high volumes. This breed is well known for its tolerance of most situations. This being said, they don’t handle weather extremes fairly well. Their coats help them in colder temperatures, although, they are not suited for hot or cold weather altogether. Despite intolerance of weather extremes, they are very tolerant of new people. They will have a relatively detached demeanor at first, but will quickly warm up to the new and unfamiliar company. 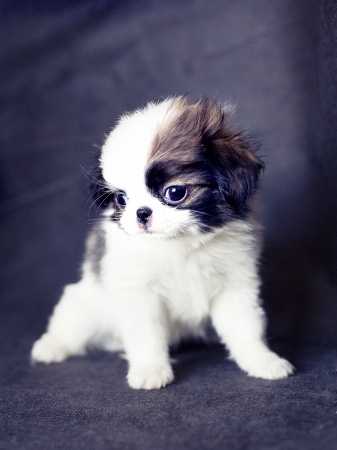 The Japanese Chin is a breed that is not recommended for owners with young children. The breed’s noble personality makes it much more comfortable around mature company. Older children work just fine with these dogs, although, young children and toddlers are not recommended. Personality differences aside, it is simply not safe to have these young people sharing a house with these dogs, as they can be easily injured due to their small size. Children should always be monitored while handling these dogs, and all people should be taught the proper way to handle them before interacting. These dogs are known for their good behavior, as they are hardly getting into trouble. Their small size and calm demeanor keep them from causing much physical damage to one’s home as well. This is a famous characteristic of the breed, as their agility is demonstrated quite often through their tendency to climb and find unusual spots to perch. They do not require much exercise to maintain this calm demeanor, although, it is still important to play with and walk these dogs, of course. The Japanese Chin’s kind yet detached demeanor applies to other canines as well. Unknown dogs will be approached with hesitation, although, these tiny dogs can make friends quickly. There will hardly ever be any aggression coming from this breed although they should be careful around larger dogs, due to their small size. They should be monitored while playing with dogs that are larger than themselves. Despite their name, the Japanese Chin is likely to have originated in China. Given the lack of historical records, their origins are not known for sure, although it's assumed that they were gifted to Japan’s royalty. This set them apart from the Inu’s, working dogs of Japan. On the contrary, Chins were regarded highly in the Japanese culture for their status and were not very populous dogs. These dogs were considered to be very aristocratic and regal, holding high importance among their royal families. While they may not have been working dogs, it’s likely they had a small role as watchdogs, given their vocal response to unusual occurrences. With most historians agreeing upon their foreign origin, it’s possible that these dogs have lived in Japan anywhere since 700-1000 AD. It’s believed they share a common ancestor with the Papillon, Pekingese, and the Shih Tzu as well. These dogs remained isolated within Japan since their arrival. Few had left their native country as gifts to other royalty, although, they were secluded up until Japan began its foreign trade in 1853. 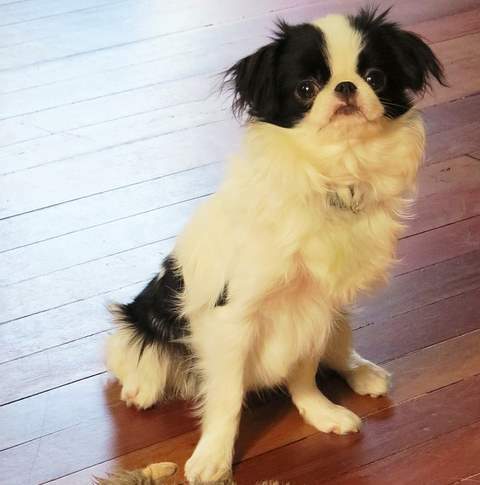 From that year forward, the Japanese Chin began to see more of the world. It’s believed the first Chins to visit the US were brought back by Commodore Perry, although, where they finally resided is up to debate. The Japanese Chin slowly made its way out of Japan on various trade boats, with many dying on their journeys. The ones that did survive created the base for the breed in both England and the US. The breed saw a particular height of fame once they were gifted to Queen Victoria after she married into the British royal family in 1863. Her enamored with these dogs led them to become very popular throughout Europe as well as the British aristocracy. These dogs maintained their growth in popularity up into the 1900s. Unfortunately, their growth was staggered and interrupted by the emergence of the first World War. Given that each and every participating country through their industries and prioritization into winning the war, there was little time nor funding put towards breeding dogs. This led to the Japanese Chin, among other breeds, to see their numbers decline and their existence ultimately placed on the backburner. The story was the same for World War 2. The small intermission between the two wars was plagued by economic hardship due to the worldwide economic depression. People struggling to feed their families were undoubtedly choosing themselves over their pets. This again led to the unfortunate decline of many breeds. With the war taking place in cities and areas more populated with dogs such as the Japanese Chin, there were more casualties to be had. Thankfully, due to some dedicated breeders and those wealthy enough to avoid the catastrophe, this breed survived. The Japanese Chin slowly rebuilt its population over the years to come. Ultimately having had been a popular yet not incredibly populous breed, they did not share the same importance and adoration they had felt in the time of Queen Victoria and the height of the British Empire. Those that had escaped to the US continued to live unheeded, however, and the breed ultimately rebuilt its lost population. In 1977, the once Japanese Spaniel was changed to adopt a more appropriate name as the Japanese Chin, demonstrating its resurgence of popularity. The breed was registered by the AKC in 1888, gaining popularity for its charming, catlike personality. Today, it holds the ranking as the 101st most popular breed in the US. 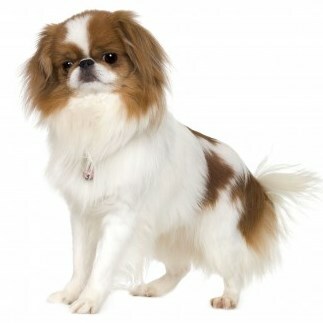 The Japanese Chin is an intelligent breed with a high aptitude to learn. They will happily learn and train alongside their owner, so long as they are kept interested. These dogs need consistent yet interesting training to keep their attention and understanding for the training that is presented to them. If their owner allows them to become bored, they will simply lose interest and not learn anything. These dogs are already known for their good behavior, which paired with their size makes housebreaking an ease. The most difficult task comes with teaching where and where not to go to the bathroom. With tiny dogs come tiny bladders, so teaching them where to go is a tedious task that requires much consistency. It’s important to remember how sensitive this breed is as well. Scolding for bad behavior will only result in a stubborn dog with a reluctance to learn. Socialization is a very important part of training any breed. Dogs must be taken on frequent walks and introduced to many people for them to be comfortable with many environments, including their own. A well-socialized dog will be much more calm and less vocal regarding things they find unusual. Despite the outward appearance of these dogs, their coats are not very difficult to maintain. Most owners will brush them only once a week. They aren’t known to get very dirty either, as they clean themselves fairly often. Owners will typically bathe them as needed, at least every other month. The Japanese Chin will need its teeth brushed as well. It’s recommended that they have their teeth brushed at least 2-3 times a week. Regular brushing will help keep their breath fresher as well as prevent tartar build up and infections. Some owners will brush daily to promote very good dental health and fresh breath. Another important part of grooming a dog is making sure their ears are cleaned. Owners will often check their dog’s ears once or twice a week. Regular cleaning will prevent the buildup of wax and bacteria, helping prevent ear infections in turn. As you can imagine from a breed of this size, it won’t do much regarding security. It's compact, and agile build may be good for climbing and balance, but it won’t keep an intruder from entering your home. The odds of these dogs attempting to defend their owner is likely, their odds of surviving is much, much less. While they will very much not suffice as guard dogs, they are known for their capabilities as watch dogs. 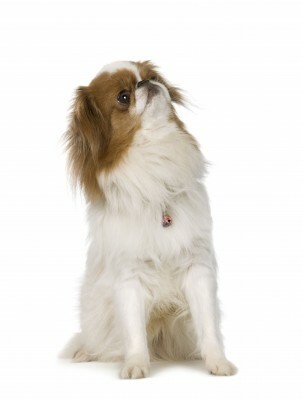 The Japanese Chin will let its owner know when it finds anything unusual or out of place by giving a vocal warning. Whether it be a squirrel or a robber, you’ll know if they are there. These dogs will make you a good heads-up, should there be a threat on the premises. Stopping that threat, however, is asking too much. These dogs don’t have the personality to be guard dogs as well. They are hesitant with strangers and unknown dogs, not defensive. They should not be given the sole duty of defending one’s property, even if they had the physical capacity to do so. As with most small breeds, the Japanese Chin is a relatively healthy dog. 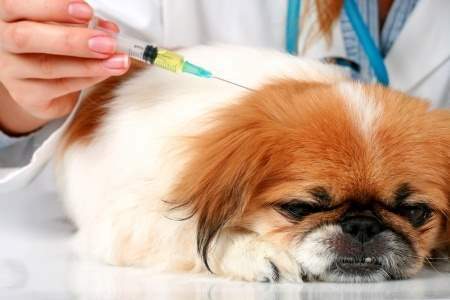 Unfortunately, like people, all dogs will get sick too. Being able to provide the proper health care for a dog is just as important as the regular visit to the vet. It is also vital to make sure that you get a dog from a reputable breeder. A good breeder will know their breed in and out, being able to pass health checks for their dogs and being capable of answering most of your questions regarding the breed. The wife of Kaiser Wilhelm II is also known to have had a particular admiration for these dogs.